2 volumes. xvi+153 pages; xvii+148 pages with diagrams. Small duodecimo (5 3/4" x 5 1/2") issued in pink wrappers with black lettering to cover and spine and black and grey pictorial on cover. With a reprint of the obituaries by J du Mont, E J Diemer and Feodor Bohatischuk. Covers 100 games. (Lusis: 1235) First edition. Efim Dmitrievich Bogoljubow, born April 14, 1889, was a theology student in Kiev destined for a Russian Priesthood before enrolling in a poly-technical college. He became enamored with chess at the age of 15, reaching national prominence at Vilna in 1912. He had little desire for the usual vocations of life electing the uncertain existence of a chess professional which forced him to live under spartan conditions for most of his career. His international debut came at Mannheim in 1914 where he was interned with other Russian masters upon the outbreak of the war first in Baden and later in Triberg. 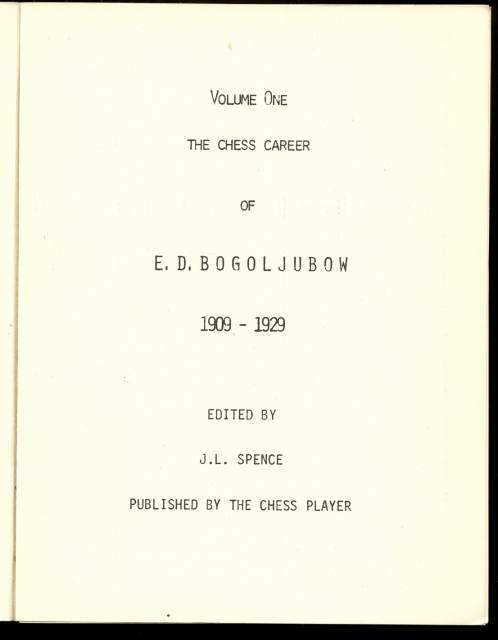 His years of captivity were not wasted as he developed his own theories of chess partially on his own and to some extent due to the influence of Alehine, also a prisoner of war. After the war Bogoljubow remained in Tribert, married a local girl and eventually became a German citizen although he remained loyal to his Russian heritage. Towards the close of his career he suffered more privation during the second war including unfounded accusations of being a Nazi collaborator which led to partial ostracism particularly by Russian federations. It has been stated that his games resemble those of Alekhine due to their complications. Oddly enough he did not seek intricate positions as he was unable to induce surprises in simple situations with the ease of Alekhine. Even as he did not relish tangled situations he did not avoid them, seeking only to distill them towards simplification. 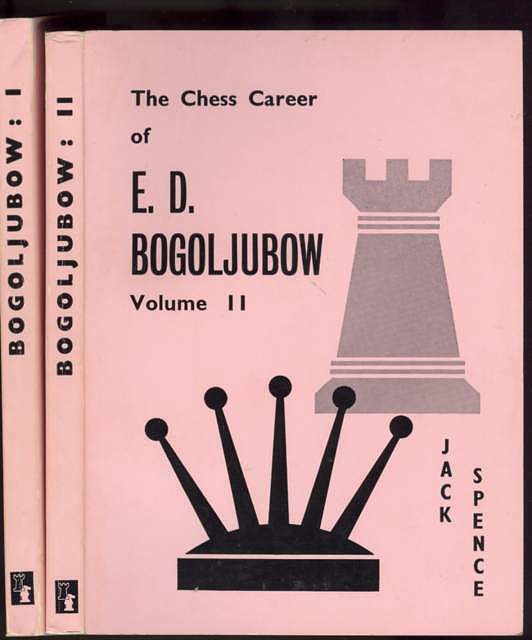 While Alekhine sought the surprise Bogoljubow merely endeavored to find further simplicity. He lacked the native talent of Alekhine but applied study became a true artist and is considered a pioneer of enlightenment during a crucial period of chess history. 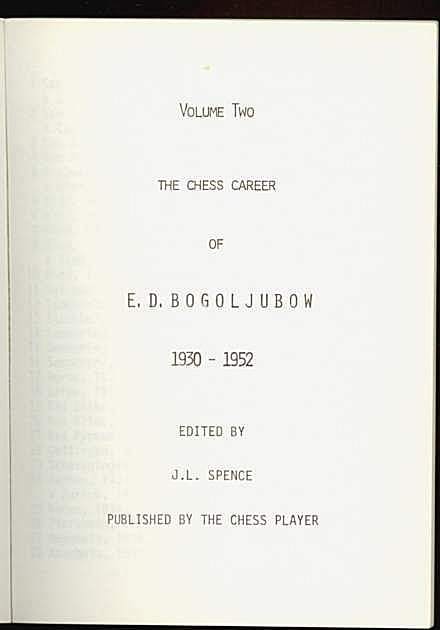 After the second war he confined his play mainly to German events, winning several national championships and visiting England in 1950 and again in 1951. A few months before his death from a heart attack on June 18, 1952 he played at Belgrade, collecting six points in the first eight rounds before the rigors of a long tournament took their toll. Lightly soiled, light edge wear. A very good set.